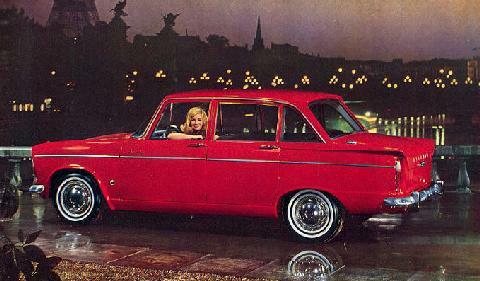 In 1961 Hillman introduced a new deluxe variant of its popular Minx model, the Super Minx. The Super Minx was based around the same mechanical items as the standard car, this meant a 1592cc four cylinder engine coupled with a four speed manual gearbox. The main difference between the Minx and Super Minx was the bodywork. The new car had a much larger and more modern body design which had a distinctive full width grille and headlamps "capped" by unusual semi-circular side/indicator lamps. 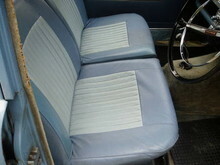 The Super Minx had lots of chrome trim and featured a spacious, more luxurious interior. In 1965 a final Series IV Super Minx arrived which had a more powerful 1725cc engine and "six light" styling. 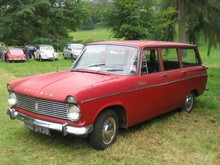 Practical Classics June 2010 - Featuring Buyers Guide Hillman Super Minx (1961-1967). Click Here to view in our shop. 8' 5" 4' 3" 13' 9" 5' 2" 0 (21) 0' 0"